My friend Alan phoned me as he was watching the news on TV and saw the promotion for the upcoming story on Channel 9 news, Brisbane Qld. This dealt with the supposed link between diet drinks, stroke and dementia. I turned onto Channel 9 and waited for the item to come on. That item ended by stating that further research was needed. That was also the information provided in an article in The Sun (UK). The emphasis was repeated that more research was needed. ‘But after accounting for all lifestyle factors, the researchers found the link to dementia was statistically insignificant’ in this British report (McDermott 2017). The lead researcher of this study, Matthew Pase, said, ‘It’s important to note that the absolute risk for any one person who drinks diet pop is low. Of the 2,888 participants the study followed, there were only 97 cases of stroke and 81 cases of dementia’. The study warned: ‘That will need to be explored further in other studies…. We need more studies to confirm whether the association is true and causal or whether the association is caused by something else’ (CTVNews.ca Staff 2017). What’s the truth in The Sun (UK’s) headline? Drinking at least one artificially sweetened drink every day has been associated with a three times greater risk of having a stroke or developing dementia, according to a US study. The researchers of the Boston University study, published in medical journal Stroke, caution that the findings only show an association, but say there is a need for further investigation (The Australian, 22 April 2017). 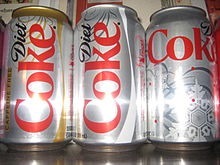 Considering results from the large number of studies on aspartame’s safety, including five previously conducted negative chronic carcinogenicity studies, a recently reported large epidemiology study with negative associations between the use of aspartame and the occurrence of tumors, and negative findings from a series of three transgenic mouse assays, FDA finds no reason to alter its previous conclusion that aspartame is safe as a general purpose sweetener in food (U.S. Food & Drug Administration 2007). Overall, the Panel concluded, on the basis of all the evidence currently available … that there is no indication of any genotoxic or carcinogenic potential of aspartame and that there is no reason to revise the previously established ADI for aspartame of 40 mg/kg [body weight]. Though research into a possible link between aspartame and cancer continues, these agencies agree that studies done so far have not found such a link (American Cancer Society, Aspartame). “We don’t think that anesthesia and surgery actually cause Alzheimer’s or cause dementia,” he adds. “We think that it interacts with individual vulnerabilities where if you’re already predisposed to getting something like this, this speeds it up.” Scientists are working on ways to identify populations that might be more susceptible to dementia via biomarkers and other tests, and eventually hope to use that information to make surgery safer for them (Scientific American, October 23, 2014). If the research was certain of the link between aspartame, stroke and dementia, I’d be off diet Coke and Pepsi Max immediately. At this point, it’s more suitable for mass media hype to get our attention – as with Aspartame years ago. That’s how I see it and I drink about 3-4 cans per week. Country music legend, Loretta Lynn (pictured here at left on her 1965 album, Blue Kentucky Girl. At age 85 in 2017, she suffered a stroke (but is expected to make a full recovery). The second photograph is Loretta performing at age 82. CTVNews.ca Staff 2017. Two new studies suggest links between soft drinks, dementia and stroke (online). CTV News, 20 April. Available at: http://www.ctvnews.ca/health/two-new-studies-suggest-links-between-soft-drinks-dementia-and-stroke-1.3377659 (Accessed 29 November 2017). McDermott, N 2017. Coca killer: Just ONE Diet Coke or Pepsi Max a day can ‘TRIPLE the risk of a deadly stroke’ and dementia, researchers claim (online), The Sun (UK), 20 April. Available at: https://www.thesun.co.uk/living/3376748/diet-coke-pepsi-max-deadly-stroke-and-dementia/ (Accessed 29 November 2017). U.S. Food & Drug Administration 2007. FDA Statement on European Aspartame Study (online), 20 April. Available at: https://www.fda.gov/Food/IngredientsPackagingLabeling/FoodAdditivesIngredients/ucm208580.htm (Accessed 29 November 2017). When I originally accessed this article online, it was available for open access, but on 29 November 2017 it is available only to subscribers of The Australian. Copyright © 2017 Spencer D. Gear. This document last updated at Date: 29 November 2017. This entry was posted in Aspartame, Dementia, Medical, Stroke on 30 November 2017 by spencer. I sent the following letter to a would-be politician when I was living in Hervey Bay, Qld., Australia. Please make forced water fluoridation an election issue. I have a medical condition that requires extensive use of medications. I do not need my medications screwed up by intrusion of an unprescribed toxic fluoride drug entering my body. Please keep Hervey Bay’s water clear of this unnecessary toxic drug — for our health’s sake. I urge you to please oppose the introduction of fluoride into Queensland’s water supplies for the following reasons. Example of dental fluorosis caused by fluoride in the water. For those who want to use fluoride, fluride tablets are available from the Regional Council. This toxin should not be forced on people in a democracy. Otherwise it is violating my human rights. Dr. Charles G. Heyd, Past President of the American Medical Association (AMA), said: “Fluoride in municipal water or in pill form is a corrosive poison that will produce serious side effects on a long range basis. Any attempt to use fluoride this way is deplorable.” Also from the AMA: “The American Medical association is NOT prepared to state that no harm will be done to any person by ingesting fluoridated municipal water,” Dr. Flanagan, Director of Environmental Health, American Medical Association, April 2006. I urge you to read this article: “Why I am now officially opposed to adding fluoride to drinking water,” by Dr. Hardy Limeback, Associate Professor of Preventive Dentistry at the University of Toronto, Toronto, Canada. He has two doctorates, one in biochemistry and the other in dentistry. He was a former ardent advocate of the fluoridation of water supplies. In 1999, he changed his mind because of the weight of research evidence. This is a conclusion by a considered expert in the field. Dr. Hardy Limeback told his colleagues and students that he had unintentionally misled them. “For the past 15 years, I had refused to study the toxicology information that is readily available to anyone. Poisoning our children was the furthest thing from my mind”. Among the findings that finally opened Dr. Limeback’s eyes was a recent study at the University of Toronto which confirmed that “Residents of cities that fluoridate have double the fluoride in their hip bones vis-a-vis the balance of the population. Worse, we discovered that fluoride is actually altering the basic architecture of human bones”. Skeletal fluorosis is a debilitating condition that occurs when fluoride accumulates in bones, making them extremely weak and brittle. The earliest symptoms? “Mottled and brittle teeth”, said Dr. Limeback. “In Canada we are now spending more money treating dental fluorosis than we do treating cavities. That includes my own practice” . One of the most obvious living experiments today, Dr. Limeback believes, is a proof-positive comparison between any two Canadian cities. “Here in Toronto we’ve been fluoridating for 36 years. Yet Vancouver – which has never fluoridated – has a cavity rate lower than Toronto’s.” And,he pointed out, cavity rates are low all across the industrialized world including Europe, which is 98% fluoride free. Low because of improved standards of living, less refined sugar, regular dental checkups, flossing and frequent brushing. Now less than 2 cavities per child Canada-wide, he said. “I don’t get it, Doc. Last month, the Centers for Disease Control (CDC) ran a puff piece all across America saying the stuff was better than sliced bread. What’s the story?” (available from: http://www.geocities.com/missionstmichael/FluorideLimeback.html [cited 28 February 2009]. The United Nations (UNICEF) states: “But more and more scientists are now seriously questioning the benefits of fluoride, even in small amounts” (available from, http://www.nofluoride.com/Unicef_fluor.htm ) [cited 28 February 2009]. I urge you to immediately make water fluoridation an election issue. Please advise me what the LNP will be doing with fluoridation of our water supplies. LNP is an acronym for a Queensland conservative political party, the Liberal National Party. (Barry Forbes, Mesa, AZ Tribune, cited in Linda Chae, “Fluoride,” available from: http://www.apfn.org/apfn/fluoride_expert.htm (Accessed 28 February 2009). Copyright © 2012 Spencer D. Gear. This document last updated at Date: 8 October 2015. This entry was posted in Community, Medical on 13 April 2010 by spencer.